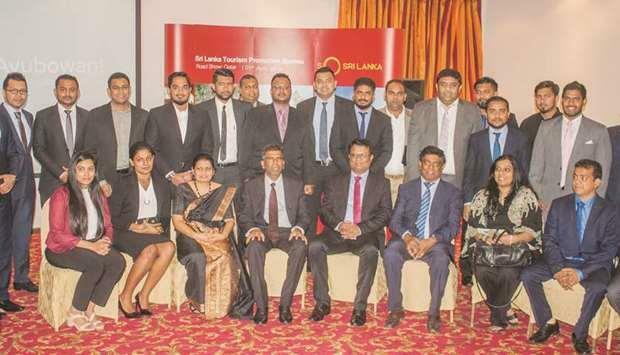 (MENAFN - Gulf Times) The Sri Lankan Tourism Promotion Bureau recently held a roadshow in Doha with the participation of a large number of entities engaged in the travel and hospitality sector. While over 25 travel agents and hotel chains flew into Qatar for the event, Mercure Grand Hotel Doha also hosted more than 150 local agents as they met the visiting delegation to hold talks on collaborating to promote the destination's inbound and outbound sales, a press statement noted. The delegation started the first leg of promotion in Oman before coming to Qatar, with Jordan and Lebanon up next. The highlight of the event was a traditional dance recital by Lalanthi Academy, which gave the audience a glimpse of Sri Lankan culture, history and hospitality. Madubhani, director of Marketing at the Sri Lankan Tourism Promotion Bureau, gave a presentation that included places to visit in Sri Lanka which was ranked the top country for travel in 2019 by ‘Lonely Planet'. Ajantha Rathnayake, assistant director of Marketing at the bureau and co-ordinator of the programme, had arranged for some special Sri Lankan dishes for the occasion in collaboration with Mercure's Sri Lankan chef Madushan. Among the other highlights of the event were a poster exhibition and the speech by SriLankan Airlines' country manager Pirathapan Balakrishnan, who urged travel agents to promote Sri Lanka as a destination. Kumudu Fonseka, a leading hotelier, said many tourists from Qatar visit Sri Lanka and air connectivity between the two countries is also good. Also, the number of tourists coming to Qatar from Sri Lanka is increasing and both destinations can benefit by having more promotions like this. The tourism authority of Sri Lanka expects to visit the country again in October.